What are the best settings for the EA? There are no best settings. The EA is a complicated platform for building various strategies (momentum, breakout, mean-reversion) on different markets (forex, futures, stocks, indexes) based on 3 popular models and filters. You can create your own strategy or use my strategies/set-files/profiles. It already contains backtests with 99.9% modeling quality and variable spreads. Try to backtest all strategies. I don’t recommend using all of them at once, it’s a bad idea. Choose strategies/presets and create your own portfolio according to your desired value of the profit/risk. You can use the MM calculator to determine MM settings before building a portfolio in QuantAnalizer (this is a software to merge different MT4 reports into a single portfolio). Remember, you need to divide trading risks between presets based on the same strategy. No one can do this job for you, because everyone has different preferences regarding risk, profit, and strategies. If you have a little experience, I recommend building a copy of any my portfolio/signal. An MT4 profile already contains all charts with each set-file loaded with the correct pair, timeframe, and settings. So you will have the same settings as me. My set-files/profiles do not use dangerous elements of Money Management! The default settings of the EA correspond to the ‘Daily_levels‘ set-file. It’s a breakout strategy based on the horizontal support/resistance levels on the D1 timeframe. It’s a slow long-term strategy. What are the requirements for delays and spreads? You don’t require low delay (latency) with your VPS and fast execution speed with your broker. Only the ‘NY_CloseTrading‘ strategy requires low spreads and an ECN account. For other strategies, low spreads are not important because they have a high expected value (mathematical expectation) in pips. What criteria can I use for portfolio composition? How can I get reliable backtest results? What re-optimization frequency do you recommend? Do you recommend optimizing over the entire history, or only the recent history to better adapt to current market conditions? No point to adjust a strategy to the recent history and the current market conditions; you can fall into the optimization trap. The start date and minimal period depend on many factors. In general, a good backtest should contain at least 300-500 trades over 5-10 years. Otherwise, the backtest results do not have statistical significance. How to use the EA for trading on the M240/60/30/15 timeframe? Each preset file is configured for a specific timeframe. If you wish to run a preset file on another timeframe, you need to adjust a lot of settings. 1. The price sooner or later reverts to the average value calculated for a certain period. 2. As a rule, the strategy opens a trade during periods of low volatility when the maximum/minimum of the day most likely occurs. 3. The strategy trades with an asset that often cross its average. If the price has not crossed it for a long time (up to ~12 hours), then the position should be closed by a time-stop. As a rule, the position holding time does not exceed 12 hours. Stop loss protects against big losses during strong price movements in one direction. 4. An open position will be closed if the price approaches the average value. So the profit can be both positive and negative. The SL value must not interfere with the closing of a position at an average price and has to withstand Intraday volatility of an asset. If you use a small stop loss, this may turn a profitable mean reversion strategy into an unprofitable one. 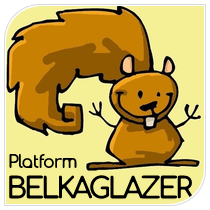 I have just purchased/installed Belkaglazer. The EA does not open any trade. What is the problem? The trading frequency depends on the strategies used. Take a look at the backtests. If there are no errors in the ‘Expert’ log, then you need to wait for trades. I can't find the set files. Am I missing something? I see there is a GMT parameter, the default value is 0. What does that mean? Should I change it? Alpari, AxiTrader, Tickmill, Pepperstone, ICMarkets, Darwin and many others close daily candles at 5 pm New York time (that corresponds to ‘GMT+2’ in winter and ‘GMT+3’ in summer) and give five 24-hour daily candles for every week. If you use such a broker, you need to set the ‘NYCloseBroker’ parameter to ‘true’. In this case, the EA uses daily charts/data directly and does not take into account the GMT_offset/Daylight_Saving_Time parameters. If the server time of your broker does not correspond to the ‘New York Close’ timezone, it’s necessary to set the ‘NYCloseBroker’ parameter to ‘false’ and adjust the ‘GMT_offset’ and ‘Daylight_Saving_Time’ parameters according to your broker’s time zone. In this case, the EA recalculates daily charts and data to get five daily candles per week. How will the EA act, if a short-term computer shutdown occurs. If you did not change the MagicNumber, the EA will pick open orders up and continue to manage the positions. Can I use the EA with others on the same account? Yes, the EA can be used with other EAs. Before buying it, is it possible to experiment on a demo account? There is no possibility to experiment with a demo account. The MQL5 store allows doing only a backtest. How many accounts can I use with the EA? The EA has 10 activations. An activation is spent on each computer or virtual server (VPS) where you download the EA. But you can open as many different accounts/platforms as you want, without consuming more than 1 activation on this computer.